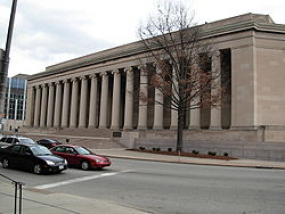 The course will be held at the Center for the Neural Basis of Cognition, Room 115, in the Mellon Institute Building in Pittsburgh, PA from January 9-13, 2011. Accommodations: There are discounted rooms available at the nearby (5 minute walk from classrooms) Holiday Inn Pittsburgh University Center. Rooms can be reserved online (easiest) or by phone. The discounted rate is $126/night plus taxes. Parking is extra. To reserve by phone call 1-800-864-8287. You will need the group name "2012Jan08 SPM8 Basics" to make the reservation. The nights available are: JAN 08-12. Lectures will be given by Tom Zeffiro and Robert Savoy.